We’ve all done it, keep meaning to make something homemade to save money but never getting around to it. Then thinking about it all over again as you scoop the expensive stuff into a bag at the shop. My husband enjoys having granola on his yoghurt in the mornings. For at least a year I’ve been meaning to give it a try but something always distracted me. The other week https://frugalhausfrau.com posted about making granola. She made it look so easy and delicious I knew I couldn’t put it off any longer! And quite frankly, with two teenagers in the house, any way I can save on the food bill is a good thing. My husband loves raisins/sultanas and currants so I thought I would keep it simple with the addition of almonds. Preheat the oven to 300F/150C. In a bowl add a cup of oats, a handful of almonds (chopped), a pinch of salt, a tablespoon or so of brown sugar, half a teaspoon each of cinnamon and ground nutmeg. Mix well. Melt 2 tablespoons of butter, add this and a teaspoon of vanilla to the bowl. Mix thoroughly. Taste to see if you need to adjust the seasoning. Spread out evenly on parchment paper over a baking sheet. Bake 30-40 minutes. This is a wide range because you don’t want to bring out a burnt taste to the granola and every oven is different. Stir the granola twice during the baking. Once it’s a light golden colour it should be done. 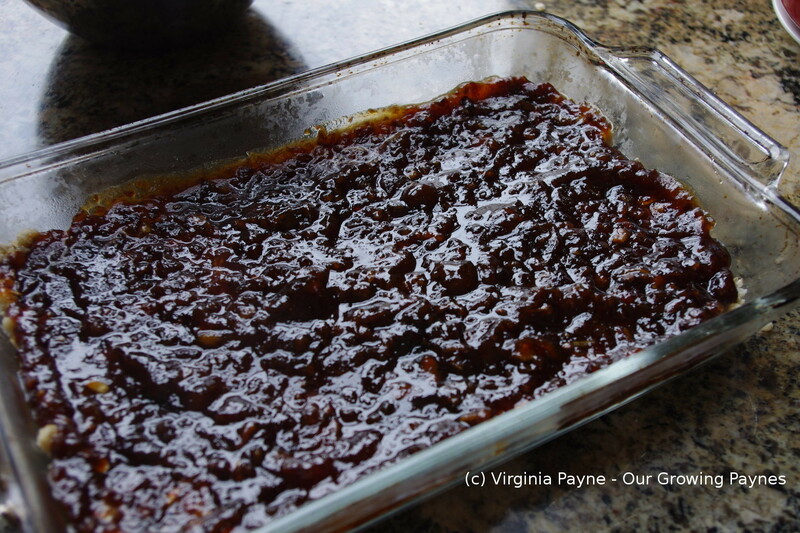 Once it’s baked, let it cool before adding the raisins/sultanas and currants. I added a healthy handful of each. If you find the raisins are on the sweet side you can back off on the sugar to keep it balanced. I enjoyed it over yoghurt but this is great as an on the go snack or over ice cream. As we ended up with nearly 3 cups of mixed granola store it in an airtight container. This is so easy and the variations are endless, there isn’t any reason to buy it anymore! I have always said I couldn’t give up bread amidst the whole gluten-free fad. I say fad because I don’t think everyone who gives up gluten needs too. I have no doubt that once the dust settles only those who have gluten issues will stick to it. However I had been doing research because of chronic pain and inflammation which I’ve had enough of. I did get bloodwork done but I have the family trait of not presenting the normal way for medical issue so they came back negative. My doctor, who is normally really good, said that some people are just built this way and are weaker. Given that I was a 3rd degree black belt I don’t accept that. So I am on a 30 day experiment to go without gluten to see what happens. I’ve done it for a week now and I think I’m making progress but it’s too soon to tell. Right now because I am being strict with it I have to be creative with the recipes as I don’t want to do two sets of meals for all of us. Someone I know who loves to bake has also gone gluten free and she suggested finely processing oats and use that as flour as a substitution for certain desserts. I thought this would be perfect for my date bars or this week apple bars given that we have a massive amount of apples. And because I was baking with apples I thought I would try my hand at salted caramel. This will make a lot so you can half the ingredients. In a saucepan heat up the sugar. You need the heat to be medium, medium high and stir constantly while the sugar melts. It will get chunky then will smooth out. Turn off the heat when the temp reaches 350F/175C and add the butter a bit at a time. Stir until the butter is fully incorporated. Then add the cream and stir well. This is where it almost went wonky for me. When you are cooking the sugar you have to be very careful not to burn it. I had a slightly burnt taste so I needed to fix it. I incorporated some brown sugar and a couple of tablespoons of spiced rum while adding the sea salt. Turned out to be similar to toffee flavour and everyone gave it a thumbs up. A happy left turn! Let that cool while working on the apple bars. 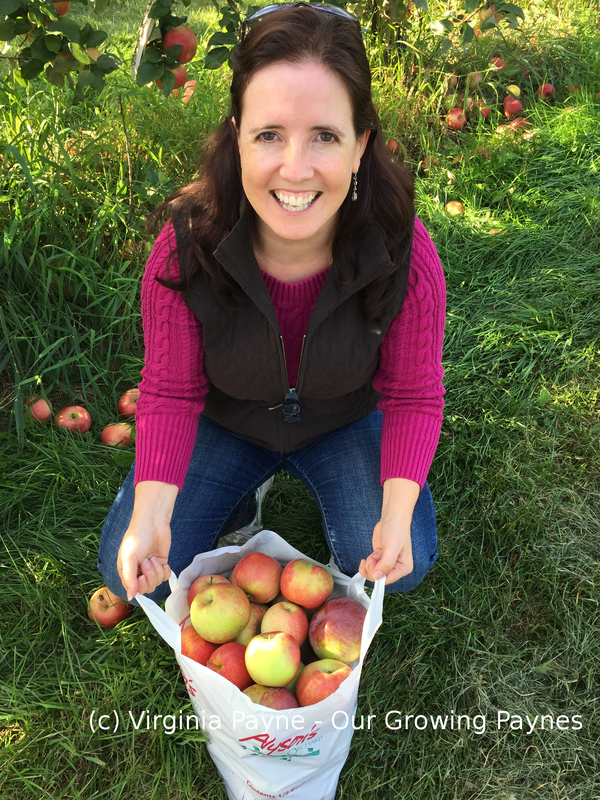 Cut up 4-5 apples into smallish pieces and start to heat in a saucepan with 1/2 cup of apple cider. Add 1/2 cup of brown sugar. Add cinnamon and nutmeg to taste and simmer until the apples soften. 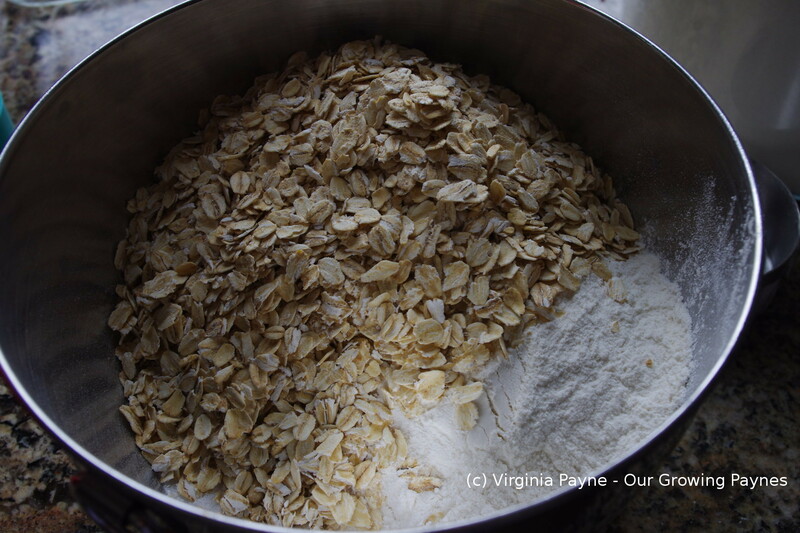 Pulse enough oats to give you 1 1/2 cups of oat flour to replace the flour. Mix this with 2 cups of oats, 1 cup sugar, and 1 tsp of baking soda. I added 3/4 cup of melted butter like the original recipe but I think next time I would add a cup to keep it moist. 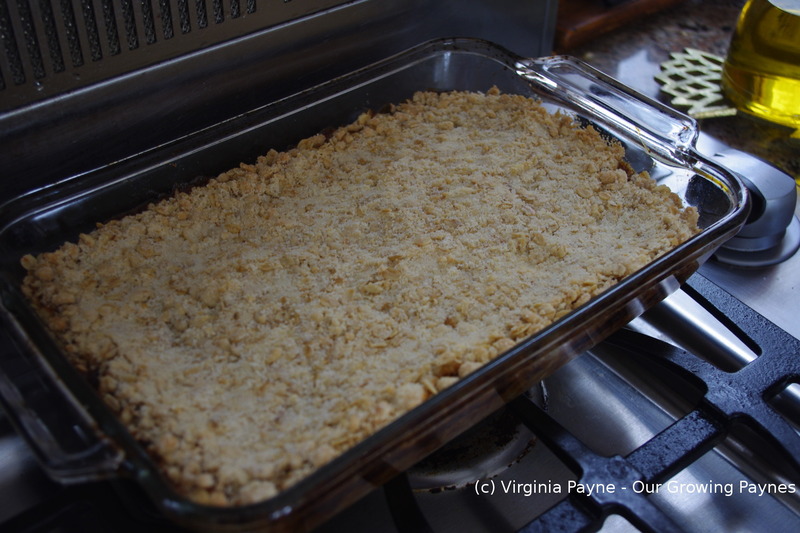 Spread out half in a 8 x 11 pan then spread out the apple mixture. 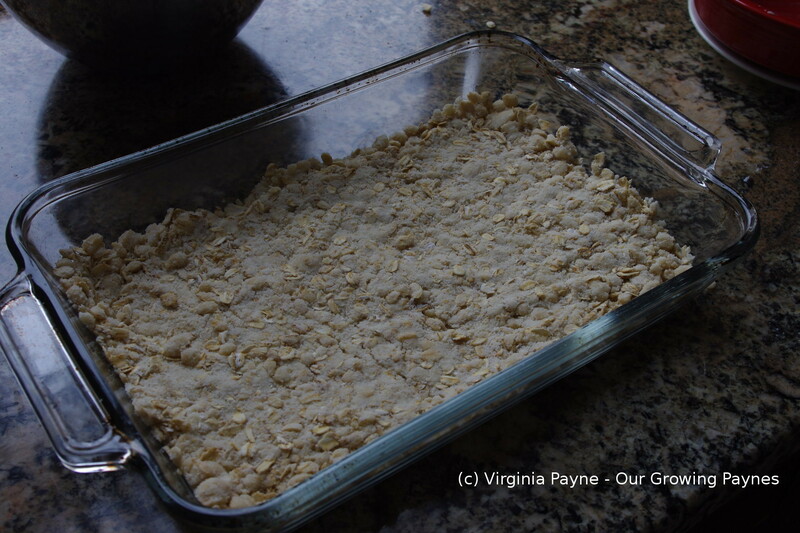 Top with the rest of the oats and bake for 25 minutes. Drizzle with the caramel and serve. The caramel can be kept in the fridge for a few weeks. To soften just microwave for 10-15 seconds. I’ll have to come up with a few more desserts to use up the caramel! We’ve had some lovely days with nary a cloud in the sky. Our seed trays are set up and the seedlings are showing up to be counted. There are a few of us in the neighbourhood that have the grow lights going now. We give off the impression that the munchies are on their way. But no, the wildest thing we have growing is some spicy salad mix. The kids are on school holiday this week so I have a feeling there will be several PJ days. 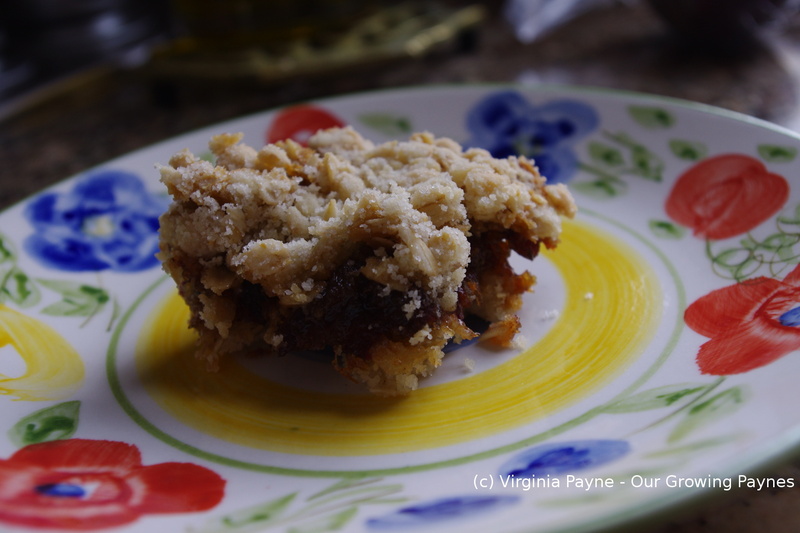 Yesterday I baked some date bars for the week to give them a bit of a treat. My mum used to make these and every once in awhile they show up as a treat for us as well. They don’t last long! My son got hooked on them when my mum had him help bake them a few years ago. My kind of tradition. Pre-heat the oven to 375F/190C. This is my mum’s recipe but I’m not sure where she got it from. I did increase a few things as my baking pan was a bit bigger than what she called for. In a small saucepan combine 8oz of chopped dates, 3/4 cup sugar, and 1 cup cold water. 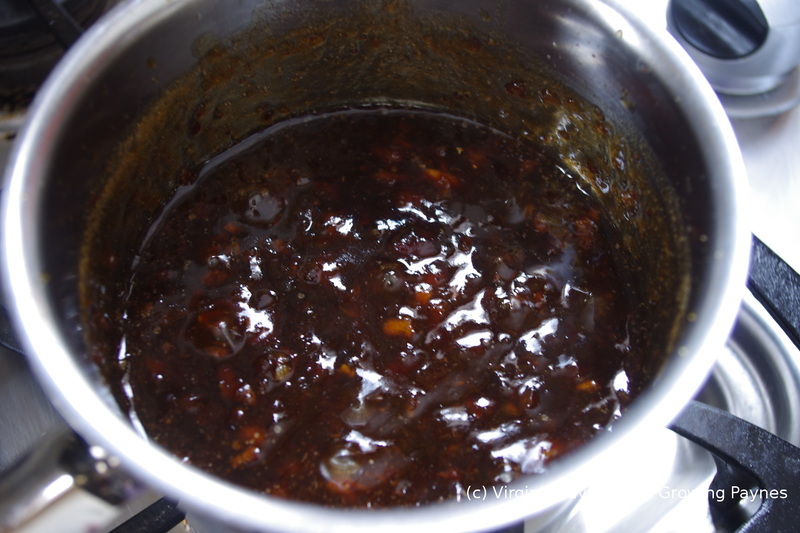 Simmer until it has thickened stirring regularly so it doesn’t stick on the bottom. While the dates are cooking combine in a large mixing bowl, 2 cups of quick oats, 1 cup sugar, 1 1/2 cup flour, 1 tsp baking soda. 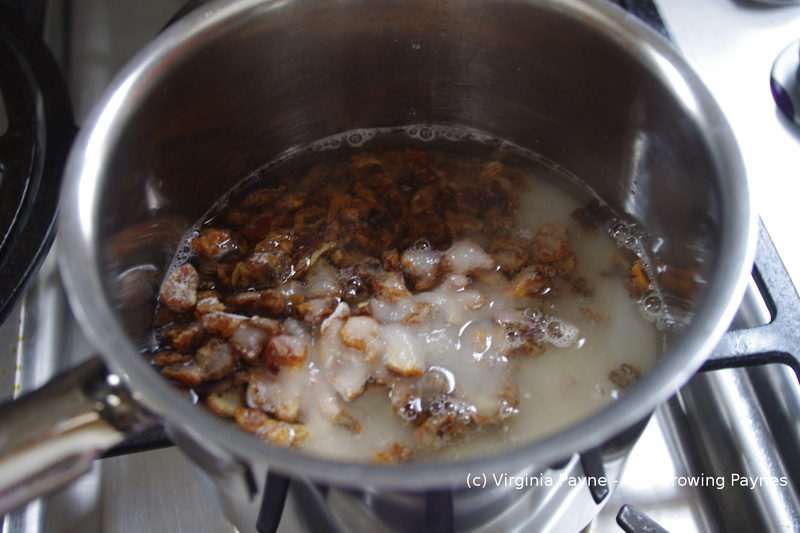 Once the dates are ready melt 3/4 cups of butter and mix that in with the oats until it is evenly distributed. Press half the mixture into an 8 x 11 pan. Spread the date mixture over the oats. Spread the rest of the oats over the dates and carefully tamp down without squishing the dates up through the oats. Bake for about 25 minutes. Try to let it cool. 🙂 The warmer it is the more flimsy the bars are and it gets a bit messy! So a side note: I’ve noticed on a couple of my posts I’m getting a ton of spam messages. I block, trash, and state they are spam but any advice on how to get it to stop? It’s annoying.